This family run business has been serving the tri-state area for the past 30 years. 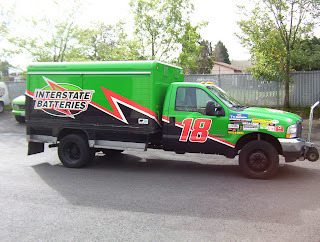 Enjoying a reputation for top-quality products, business innovations and consistently reliable service, Interstate Batteries is the No. 1 replacement brand battery in North America. The most popular deep cycle battery on the market the Group-24 Deep Cycle Battery!!! We recieved some AGM Group 24's in that are in like new condition. They retail around $200 and because we received such a great deal we are slashing the price on these down to $50. We are checking all of them prior to sale to make sure they will work for you but all have passed testing prior to this post. You can not beat this price. We are also so confident in the product that we are supplying it with a 1 year free replacement warranty. 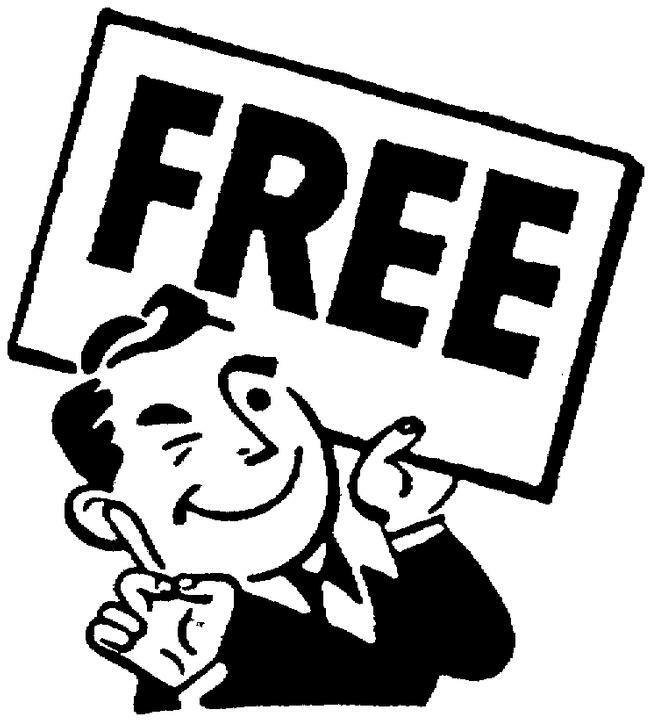 As long as the battery fails in 1 year we will give you something equivalent for free. Do you need a battery for something other than your boat? We have that too. We cary a complete line of batteries for your automotive, RV, golf cart, motorcycle, and so on... Feel free to drop on by and have us take a look at what you have and provide you with professional advice. 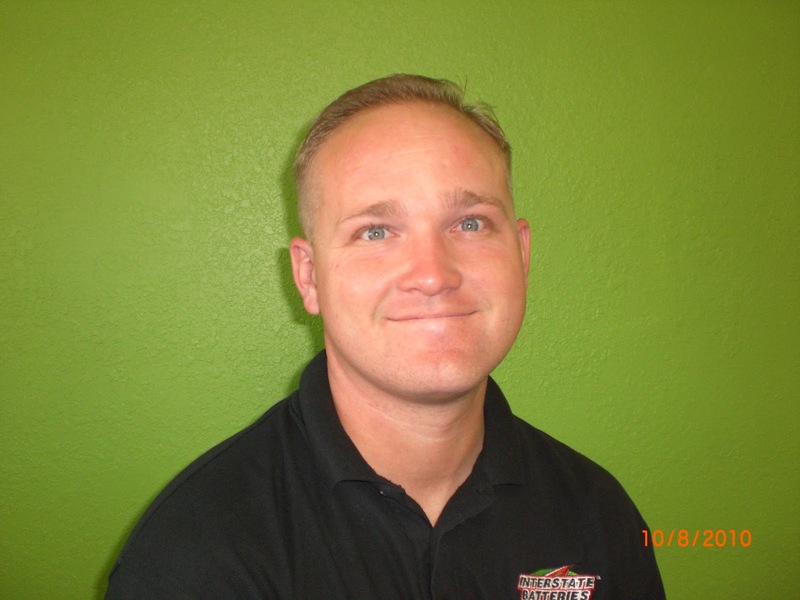 Accurate Auto Care in Lake Havasu City endorses Interstate Batteries! Interstate Batteries tries to go above and beyond the call of duty. We can tell you all of the things we are doing out there but whos to say it is true. Here is an independantly owned dealer talking about what they do and what they think of Interstate Batteries. This is Chuck from Accurate Auto Care talking about his experience with Interstate Batteries. Interstate Batteries is happy to announce that we have extended our operating hours. Traditionally we were open 8:00 AM to 5:00 PM. We are now open at 7:00 AM Monday through Friday. We have consistently said we want to make purchasing a battery as easy as possible. We received feedback that not being open before 8:00 AM made it harder to do business with us. After a test program we realized that it just made sense to open an hour earlier. We are always looking for changes that can be made in our organization which will increase our customer service and welcome feedback so that we can continually improve. Car batteries are unsung transportation heroes. These heavy, black boxes rest quietly under the hood, ready to provide the essential electrical charge needed to fire up an engine and begin driving. Without a healthy battery, your car is just a large, metal sculpture parked in the driveway. 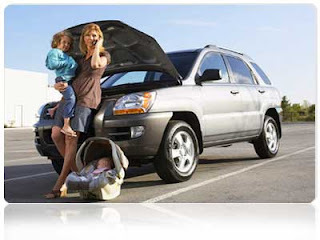 Throughout the life of your vehicle, you will probably have to replace your car's battery a number of times. Either it gets old and has to be replaced, or it is drained unintentionally when lights or another electrical accessory are left on. A dead battery can be a hassle, especially if you cannot find jumper cables or have to wait for roadside assistance. Being proactive in replacing your battery can ensure that your car is ready to go when you are. With a maintenance-free or sealed battery, you don't have to check or refill the electrolyte levels. 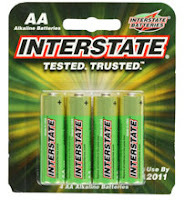 Most of the batteries sold at Interstate Batteries are maintenance free. What this means is you can open the caps and check on them but it is not required. The benifit of having a battery you can check on is that you can extend the life of the battery but it is not required to have it last the typical life span. What is recommended is to have your battery tested every year as part of your maintenance schedule. This test is almost always free and can alert you of a poor performing battery before it leaves you stranded. So we are in Spring and we all know that the Summer heat is right around the corner. What does this mean to you? Well we can just assume we are going to have HOT cars that we want to turn on and cool down as fast as possible. Heat is the hardest thing on a battery so it is a good idea to make sure yours will perform so that you can get you vehicle cooled down. Also this is the time most of us are taking the boat out of storage, cleaning it up, and getting ready to go to the lake. It never is a bad idea to test the battery so you are not on the ramp ready to go with the cooler full of goodies and then the engine doesn’t want to start. Most authorized Interstate Batteries Dealers will test your battery for free to make sure you are not stuck on the side of the road or in the middle of the lake. They will check the fluid levels, verify voltage, and perform a load test to ensure it will work the way you need it to in the most extreme weather. 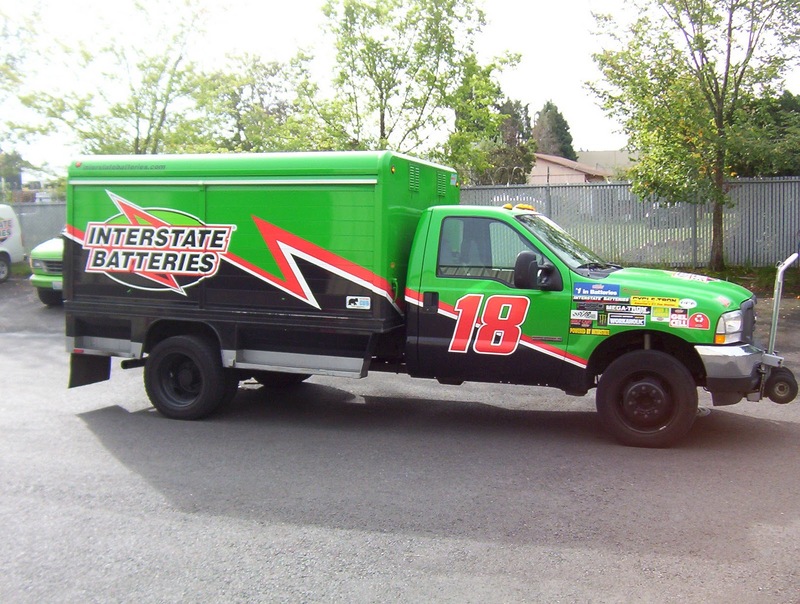 Interstate Batteries of Lake Havasu has access to over 16,000 batteries. We work with all kinds of batteries making us a one stop shop for your battery needs. Most homes and businesses use more batteries than you would think. We wanted to take this opportunity to take a look at the most common business battery, the Alkaline. So what makes us different than a typical alkaline battery vendor? An example is the average cost of a AA battery is $0.80 – $1.00 at most retail stores. Your cost is $0.54 per battery cutting your costs. With us being around half the cost of batteries you are currently using this may end up being a good opportunity for you to give us a try. If you do not want to order the larger packs of batteries that is fine, we also carry them in the typical 2 or 4 packs you see at the store as well. Just give us a call for pricing on any battery. Interstate Batteries of Lake Havasu had a Business Spotlight done with our local tv station (TV 45). We think they did an amazing job for us so we wanted to share it with you via Youtube. Click on the video below and take a look. This will give you a bit of the history of our shop here in Lake Havasu and explain the Interstate Battery System. It is a group of 300 small local businesses that work together so that you do not need to worry who or where you purchased your battery from you are always covered. As always if you have any questions you can give us a call here at Interstate Batteries 928-453-7511 or you can follow this link to find the closest dealer to you. Do you want to win a FREE BATTERY? Well Interstate Batteries of America is providing that opportunity for you. We are also looking to provide you the chance to win a handy carrying case for that battery called a Toyota Tundra. Not a bad deal especially since there is no purchase necessary. You can check it out by clicking on this link http://www.ibslhc.com/discounts-1/free-battery or going to the Fox NFL Web Page and clicking on it there. How much more outrageously dependable can we get? With a dealer in every county in the United States you are assured that you can be taken care of wherever your travels take you. If you have any battery needs now you can go to our web page and find the nearest dealer to you. Need a map of our location click here! Interstate Batteries is the #1 Replacement battery in the country. We have automotive (New/Blemished/Used), Truck, RV, Marine, Commercial, Golf Cart, Motorcycle, Gel, Wheelchair, UPS, and more! Typically we have the battery available in stock. They come with a NATIONAL WARRANTY with dealers in every county in the United States. We have a professional staff that can assist you with any of your battery needs, including installation (yes RV’s are included)!!! We take pride in our work and want to make sure we serve the Lake Havasu community properly. Feel free to drop by even if you only have questions! We look forward to working with you! 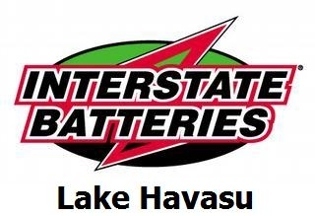 Interstate Batteries of Lake Havasu has been a local supporter of racing this 2010 - 2011 season. It has been great to be out in the bleachers with the fans and see their support for this great sport. 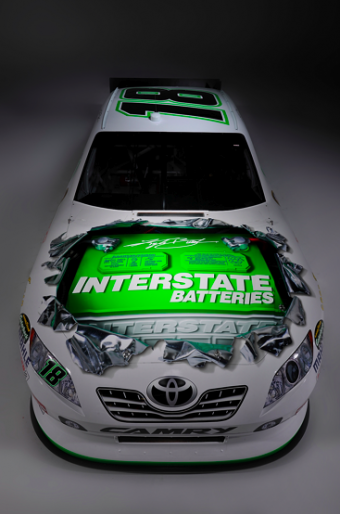 Along with our local support Interstate Batteries of America has also been supporting the sport through NASCAR and is looking forward to the 2011 season. They put together a video for you to watch and we here at Interstate Batteries of Lake Havasu feel it is a good one. As we look forward to the 2011 NASCAR season, we thought it would be fun to look back at 2010 and some of the friendly faces we met along the way. Thanks for supporting Kyle Busch and the entire Team Interstate! Alkaline Batteries? Thats right. Interstate Batteries has over a 50 year reputation so when we put our name on something we know it is top quality. Interstate Batteries is in the Alkaline Battery market. We have been slowly building our stock up so that we can mee the demands of our customers and think that we are able to now post publicly that we have these for sale. Rather than going to a large retailer where the money goes out of our state give us a try. We are a local family owned business and have been here for over 30 years. Interstate Batteries of Lake Havasu wants to make help out as we prep for the holiday season so we have all of your battery needs covered. We carry AA, AAA, C, D, some nickel batteries and so on. Come on down and take a look or give us a call. Rain in the Tri-State... It has been going off and on all month now. With the holidays wrapping up it may be time to take a look at your battery. You see it can be hard to find someone to give you a jump start normally but if you are caught when it is cold and wet outside it is just that much harder to find someone who is willing to help out. We recommend checking the cable connections to be sure they are corrosion free and connected securely. Making sure the battery hold down is snug to alleviate any unnecessary vibration to the battery. Checking the fluid levels in the battery. If this seems to be a bit of work, or you just don't want to get your hands dirty you can always bring your car / truck / van down to Interstate Batteries of Lake Havasu where testing your battery and checking all of those items listed above are FREE OF CHARGE!!! You can Enjoy the Warm, Dry waiting room while we go through and make sure you will be ready for the winter season. ﻿Interstate Batteries of Lake Havasu is proud to be sponsoring the inaugural bout for the Women's Roller Derby League the "Havasu Hitgirls". This is a great sport for women to stay active and have a great time! It is great to be able to get out and have a good time with women who are active in the community. They have held several fundraisers to pay for their supplies, skates, insurance, and so on for this event. On their own dime they have been working for almost a year so that they would be ready. This goes well beyond just doing fundraising. They have been practicing 2 - 3 times a week, traveling to away events to get insight, attending conventions, etc... When a group is so interested in putting in the time needed to get the ball rolling it is exciting to see their first event! This should be a fun filled family event. Bring the kids and see what these gals have been up to. Their is going to be a food vendor there so you can have a late lunch / early dinner with the kids. For FREE ADMISSION you can bring any non-perishable food / household items which will be donated to the Interagency’s Women’s Shelter . Interstate Batteries of Lake Havasu is proud to support the 4th Annual “Holiday on Wheels Parade” 12/11/10. This is a great event for the whole family to go out and celebrate one of the many pass times in Lake Havasu. With Interstate Batteries providing ATV batteries, Rhino batteries, UTV batteries, side by side batteries, sand rail batteries, jeep batteries, motorcycle batteries, and so on it just made sense to partner with such a great event! So what does this mean to the enthusiast? Well it is time to get out the lights and dress up your WHEELS for this family fun parade! It is located on McCulloch Blvd. from Smoketree to Acoma on Saturday 12/11/10 from 6:00 PM to 9:00 PM. This winter celebration will consist of a parade of golf carts, ATV’s, UTV’s, side by sides, sand rails, Jeeps, Motorcycles, Classic Cars and Hot Rods decorated with Christmas lights and lots of other fun goodies! Requirements for participation are minimal and include having a street legal off-road vehicle and decorating it with Christmas lights. ... There is a $10 entry fee for participants who sign up prior to 12/10/10, and a $20 fee if signing up the day of the event. A portion of entry fees will be donated to the Western Arizona Humane Society.. Awards will be handed out in 8 different categories! R&R Products is hosting a decorating party, open to all, on Saturday 12/11/10 beginning at Noon at their location 1673 Industrial Ave. Entry forms can be picked up/returned to: Scoops 2014 N. McCulloch Blvd. or Schlotozsky's 2144 N. McCulloch or via email request to uptownhavasu@yahoo.com. For more information please feel free to call Eden at 928-230-3749 or Randy at 928-208-7648. Need a map of our location click here for our MAP!! 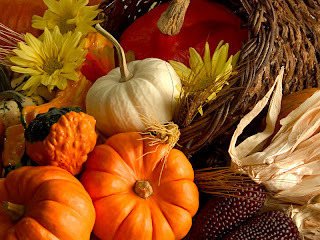 In an effort to give our employees time to share with their families this Thanksgiving we will be closed on 11/25/2010 and will have limited staffing on 11/26/10. As Thanksgiving approaches we have some thoughts we would like to share. Thanksgiving is the time to feel gratitude for all the good things in life. It is a time to acknowledge the good deeds of fellowmen and be thankful. Thanksgiving thoughts of people give us an insight as to what people feel about it. We are living in trying times right now. Right now someone’s child is hungry, body wracked with pain, or has no idea where they and their family will find a place to sleep. For anyone in these or any another difficult situation we pray for your wellbeing. If this is your situation take a few minutes on Thanksgiving Day, step outside your situation and just "be". Find something, no matter how small, to be thankful for because in giving thanks, you will be lightening your load, even if for only a moment. It never was between you and them . . . anyway. We have been truly blessed at Interstate Batteries and are grateful to all of our dealers, customers, and suppliers who help us succeed. We wish you a fruitful and blessed Thanksgiving Day. Meet the Intestate Battery Team. We have been making improvments to our office but this does not mean we have changed our staff. We know that our staff is a critical component to our success in being able to deliver outstanding service to our customers. Jeff has been involved with batteries since he was a small child. His father used to own the Mohave County territory as well as the Las Vegas market. When his father asked if he was interested in moving to Lake Havasu and taking on the family business he was very excited. 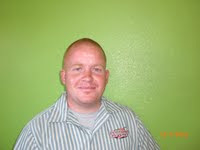 He thinks that Lake Havasu is a beautiful place to live, has friendly people, and enjoys the community. He comes to the team with an MBA and a drive to focus on the service delivered to our customers. 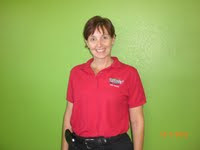 Brenda has worked in several different industries ranging from the US Army to telecommunications. 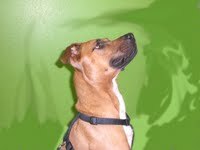 She was very excided about the opportunity to work at Interstate Batteries as our office manager. She handles the daily routing of calls, dispatch management, and clerical duties. You will probably reach her if you give us a call. She is very friendly and eager to assist you on your battery needs. 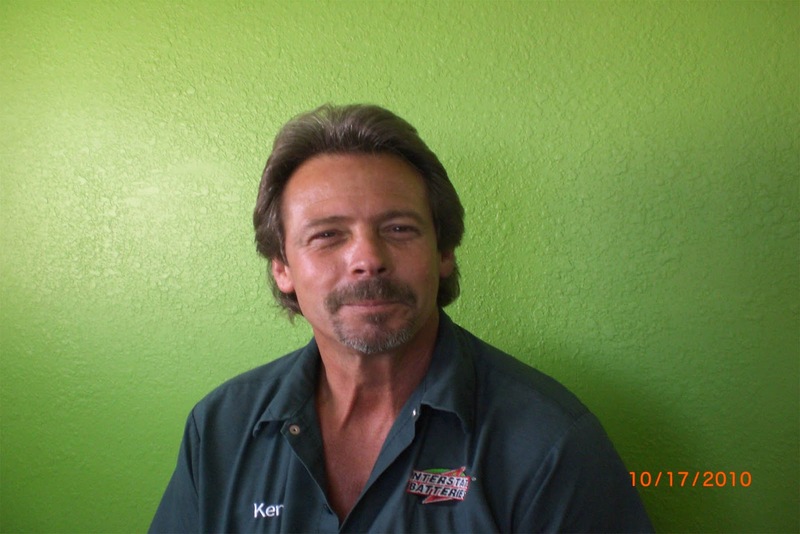 Ken has been with Interstate Batteries for over 5 years now. He is part of the family. Typically he is not at the office and is out in the field with our route truck servicing customers all over the Mohave County. He has a drive to make sure the customer has the right battery for their application and will work day and night to make sure we have it for our customers. Mike has been in this building since it was the old Lightning Battery building. You probably already know him as he has been here forever. He has a great background working with alternators, starters, and batteries. He usually will be doing the installations here and is able to test other aspects of your electrical system. 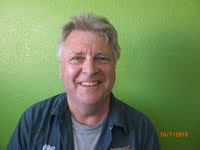 He is very good at installing in RV’s, Gem Carts, Golf Carts, and so on. Travis is the newest member to our team. He comes with 2 years of battery experience in California so he knows the drill. With this background it made him a great addition to the team. He is able to do installations, deliver batteries, and handle any customer questions which come up. Interstate Batteries wants to Serve you Better! So we are pushing hard to have better service. To be able to take care of all of our customers we decided to get an additional truck for our fleet. This Ford 550 Super Duty truck seemed to be the right fit. It is able to hold enough batteries that we are able to do hot shot service off of it, smaller route service, and works when we have our larger route truck down for scheduled maintenance. We are excited to get this truck in full service. After only 2 test runs on routes it seems to fit the bill. We are very conscious of the fact that you can not wait for a battery. With this addition we are better able to serve your needs and get batteries out to you more effectively. This will also help with making sure we are able to rotate batteries. By rotating batteries we are able to ensure a fresh battery is installed every time! Someone may ask why this matters. Well if a battery sits on the shelf it will slowly discharge. Batteries also "like" to be used. What that means is the chemical reaction in the battery from use actually will help it last longer. So with us making sure they are fresh and charged up it simulates usage to the battery making sure when it is installed your vehicle will get the top quality product that we are selling. Please Help Me!!! I have been arrested and will be put in jail for the Muscular Dystrophy Association (MDA) Lock-up. Don’t even bother asking what crime I have committed – it’s not really that important. I just have to raise my bail of $1,600 before the Lock-Up and they will go easy on me, but I need your financial assistance to post my bond. Go to this link to help me stay out of Jail. My wife and I have been doing charity work with the MDA for several years. For the past few years we have been helping with the MDA motorcycle run in Salt Lake City and are pleased to be a part of this event. Please help us send some of these children to camp. We want to remind our dealers in that we have hotshot service available to them. This means if you end up with a run on your batteries and need some to meet your customers needs or you get an odd ball request just give us a call. We are here and ready to jump in a truck and send it out to you and can get them to you typically in 30 min. This is a service we provide in an effort to make battery purchasing easier for you. Do you need a battery? Click here to find a dealer nearest you! Are you interested in carrying additional batteries or supplies? Talk to your route manager as we have access to over 16,000 batteries, battery accessories (chargers, cables, corrosive sprays, etc…), and so on. We have been revamping our showroom and part of this is we are going to be adding additional inventory. If you let us know supplies you would like to get we will add them to our standard stock so you will not have to wait for these accessories. 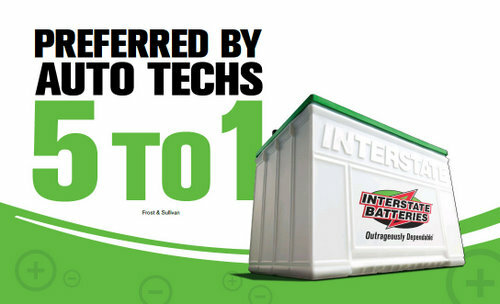 Interstate Batteries is the #1 Replacement battery in the country. We have automotive (New/Blemished/Used), Truck, RV, Marine, Commercial, Golf Cart, Motorcycle, Gel, Wheelchair, UPS, and more! Typically we have the battery available in stock. They come with a NATIONAL WARRANTY with dealers in every county in the . We have a professional staff that can assist you with any of your battery needs, including installation (yes RV's are included)!!! We take pride in our work and want to make sure we serve the community properly. Feel free to drop by even if you only have questions! We look forward to working with you! While we are enjoying picnics, parades, pool parties, and time on the lake lets take a moment to remember the contributions workers have make to strengthen the prosperity and well-being of America. 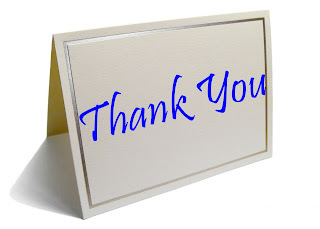 In our appreciation for all that our workers do for Interstate Batteries we will be closed on Monday September 6, 2010. We want to give our employees time to relax from the heat of the summer and spend time with their loved ones. My wife and I are planning on BBQ?ing and enjoying time together. 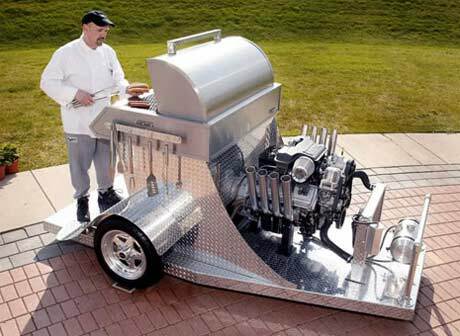 Although this is not out grill we do enjoy any BBQ that requires a battery to start it. We wish you the best this Holliday weekend and remember to be safe and have fun. We have a professional staff that can assist you with any of your battery needs, including installation (yes RV?s are included)!!! We take pride in our work and want to make sure we serve the Lake Havasu community properly. Feel free to drop by even if you only have questions! 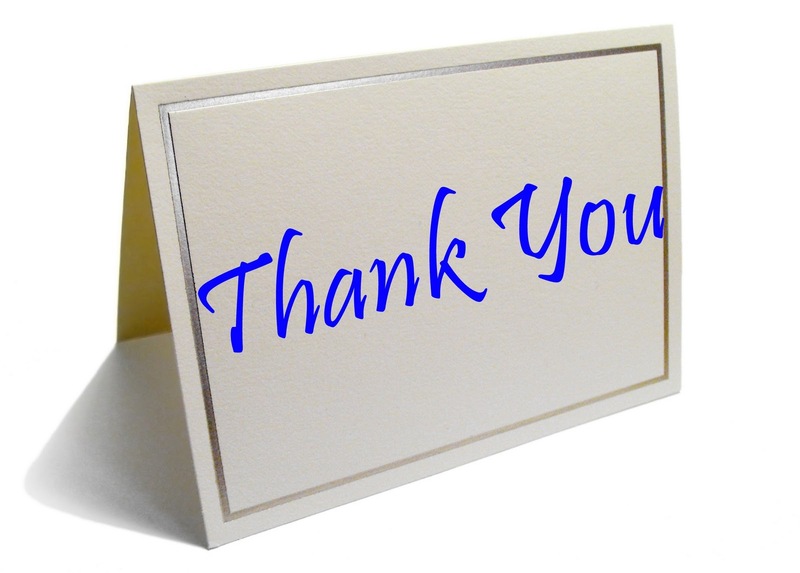 We look forward to working with you! We have heard this story several times so we wanted to share some insight to you on how to save some big bucks. Interstate Batteries has access to over 16,000 batteries. We have a motto here “We have it, Find it, or build it”. 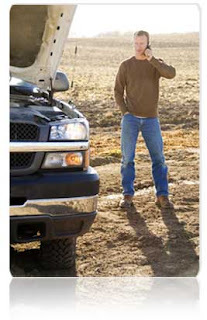 This means you are able to come to us with any battery issue and we can help you resolve it.